“Did you know that M&M’s candies contain harmful, petroleum-based, artificial dyes that can trigger hyperactivity in sensitive children? I believe eliminating these dyes did wonders for my family’s health. M&M’s are already made without most of those dyes in Europe so I don’t understand why they are being made with cheaper, controversial ingredients in North America? Please sign my petition asking for M&M’s to be made without artificial dyes. I’m a mom to two kids, and we like having some sweets around the house like most people do. Several years ago our little Trenton (now 9 years old) was having some behavioral problems. He was having trouble in school, at hockey practice, and at home with tasks as basic as falling asleep. He’d often have nightmares, and the slightest disappointment would set him off. As I did some research, I found out that parents all across the country have been struggling with similar hyperactivity issues. I also found out that many families were using an “elimination diet” to isolate and remove harmful ingredients — particularly artificial dyes. By removing dyes like those found in M&M’s, they were able to delay, reduce, and sometimes eliminate the need for medication. Some of the latest info from the Centers for Disease Control and Prevention indicates that more than 1 out of every 10 school-aged child has received a medical diagnosis of attention deficit hyperactivity disorder! My understanding is that’s a 41% percent increase in the past decade, and that’s why I’m so interested in trying to find simple solutions that will help make our families healthier. I’m not trying to keep my kids from being kids. They can have treats. But they don’t need petroleum-based dyes. Just two days after deciding to eliminate artificial dyes from Trenton’s diet, we saw dramatic improvements! His nightmares stopped and he was able to sleep through the night. Trent changed from a child who would have a meltdown if he didn’t get his way during playtime to a calm student who could share and do his schoolwork. When Trenton returned to hockey camp, the coach couldn’t believe he was the same person, calling him “smiling, eager to participate, and a joy to have on the ice.” Trenton’s teachers and coaches all know him for his sense of humor, wit and contagious positive attitude. Trenton excels in academics and sports, and this has been possible since our family figured out the harmful effects of the dyes. With Halloween coming up, I’ve decided to work with the experts at the nonprofit Center for Science in the Public Interest (CSPI) on this campaign. Their review of scientific studies shows that artificial dyes including Yellow 5, Yellow 6, and Red 40 can stimulate hyperactivity and other behavior problems in children. CSPI has recommended that these additives be prohibited from use in foods. I was present at a 2011 hearing where even the Food and Drug Administration (FDA) acknowledged that “Exposure to food and food components, including artificial food colors and preservatives, may be associated with adverse behaviors” in children. Dogs Are Not a Delicacy! CLICK HERE to Please sign this petition and then share! The dog meat trade in Vietnam is horrific, illegal, and inhumane – and must be stopped. Dogs are stolen from loving families and off the streets in Thailand. These poor dogs are then thrown into overcrowded crates, which are stacked and illegally transported by truck and by boat into other countries; particularly Vietnam, where dog meat has become a sought-after delicacy. Poor treatment, dehydration, and starvation lead to rampant injury, disease, and death among the dogs during transport. Rabies, cholera, E. Coli, and distemper are all spread by this brutal trade, threatening animal and human populations. On arrival, surviving dogs are met with an inhumane death, their bodies sold to markets and restaurants for profit. Three steps must be taken by the Vietnamese government to stop this trade. First, make the import of dogs for meat a punishable crime. Second, enforce the ban. Third, enact a media campaign against eating dog meat. The meat is being marketed as an expensive delicacy with health benefits. This awful myth must be publicly discredited to stem demand and protect public health, or the black market trade will continue. Sign now. Help us stop the dog meat trade. 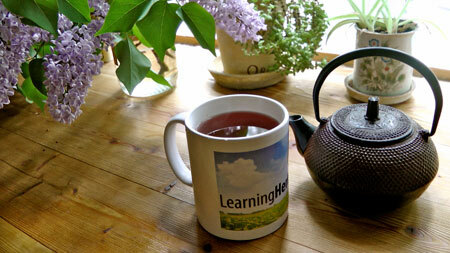 HerbMentor News 82: Holy Basil Tulsi Tea. 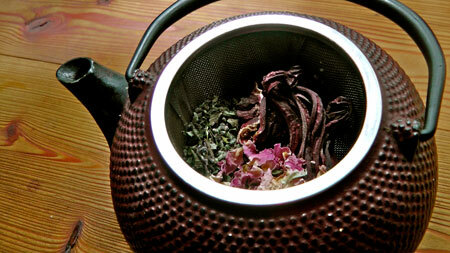 This was my first foray into making my own herbal teas directly from dried leaves, flowers, etc. 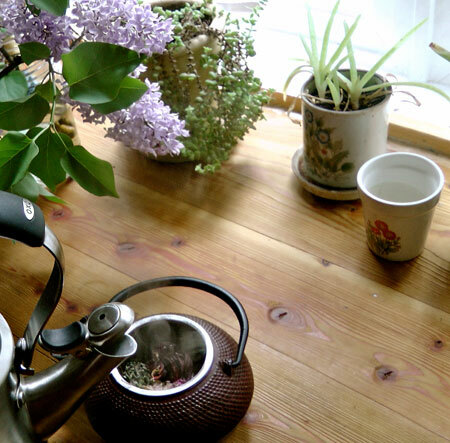 This tea is an ayurvedic remedy, good for so many things!! This is posted from herbmentor.com… check it out and give it a try! I made it for the first time last night and loved it… and it’s pretty too! Nice and pink, add a little agave nectar (PLEASE leave out the sugar… that just ruins the whole healthy aspect :P ) and VOILA you have an awesome health perk right in your cup! Our featured herb at HerbMentor.com for the months of May and June is holy basil or tulsi (Ocimum sanctum). 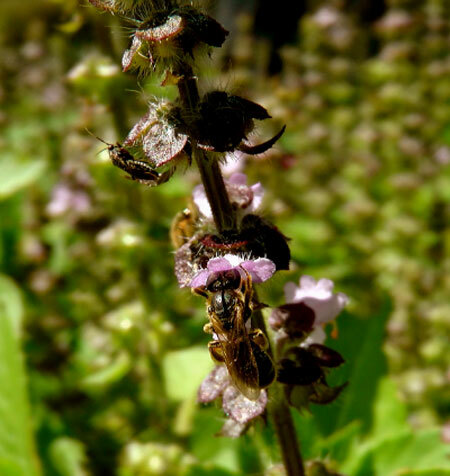 This mint family plant has been a sacred and important medicinal plant in India. Tulsi is one of those plants that will amaze you with the many ways it can support health and well-being. Tulsi’s main claim to fame in the western world is as an adaptogen. In Ayurveda they refer to it as a rasayana. This term is similar to the Chinese term tonics. It basically means that this is a transformative herb and, when taken daily, it moves a person towards health. These are generally building and nourishing herbs. I often hear people say that they don’t want to be taking herbs for the rest of their life, the idea being that if they were healthy they wouldn’t need to take herbs. In this sense, people are equating herbs with pharmaceutical drugs. However, in other systems of healing like Traditional Chinese Medicine and Ayurveda, specific herbs are taken for a lifetime to ensure vibrant health and longevity. Holy basil is one of these herbs. Holy basil not only helps the body adapt to stress, it can also promote energy and endurance. One way it does this is by increasing the body’s ability to efficiently use oxygen. Holy basil is a relaxing nervine that can help calm the mind and recover from our hustle and bustle culture. Tulsi has many beneficial actions on the heart. It is slightly blood thinning and promotes good circulation. It can lower stress-related high blood pressure and taken daily it can help optimize cholesterol levels. Stress can play an ugly role in overall cardiovascular health and the adaptogenic properties of tulsi can help mediate stress-related damage. In Ayurveda, a formula that is balancing to all who take it (tridoshic) is made up of tulsi, arjuna and hawthorne. In scientific studies, holy basil has been shown to be a COX 2 inhibitor (many modern pain medications are COX 2 inhibitors), making it useful against arthritis and other inflammatory conditions. Tulsi is high in eugenol, a constituent also found in cloves, which is helpful to decrease pain. Holy basil growing in southern France. And more! This is just a smattering of beneficial uses for this amazing plant. It’s also used for viral infections, fungal infections, radiation exposure, high blood sugar, hay fever, the herpes virus, anxiety, high blood pressure and on and on and on! Note: I know some of you are wondering if our common culinary plant, basil, is the same as tulsi or holy basil and the answer is no. Our culinary plant, Ocimum basilicum, is a different species although they do have some overlapping properties and uses. There are over 60 different species in the Ocimum genus. 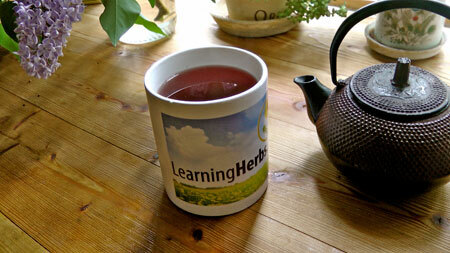 Many members of the HerbMentor.com community have signed up for a tulsi journey. We’ve agreed to take tulsi as a tea or tincture daily for thirty days and then report back on what our experiences are. We can share recipes and different ways we experiment with taking tulsi as well as changes in how we feel. Since we are drinking tulsi tea daily at my house I have been experimenting with all sorts of different recipes. Today I am going to share one of my favorites. 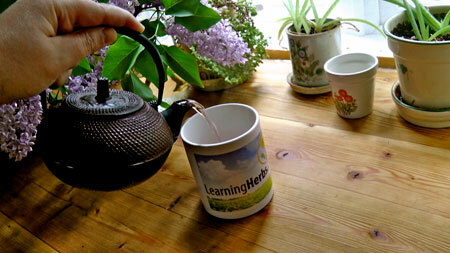 To make this tea simply place the herbs in your tea pot. Pour in the just-boiled hot water. Let steep for 10 – 15 minutes and then pour. If we collect enough recipes from HerbMentor.com members I’ll be making it into a community ebook! Look for it on HerbMentor.com. Has your body over the last few years started to go a little (or a lot) wacky? Feel like you’re falling apart but know you’re too young to feel this way? In your 30’s or older? Have several symptoms and they seem unrelated? No, it’s not in your head. It’s in your hormones! 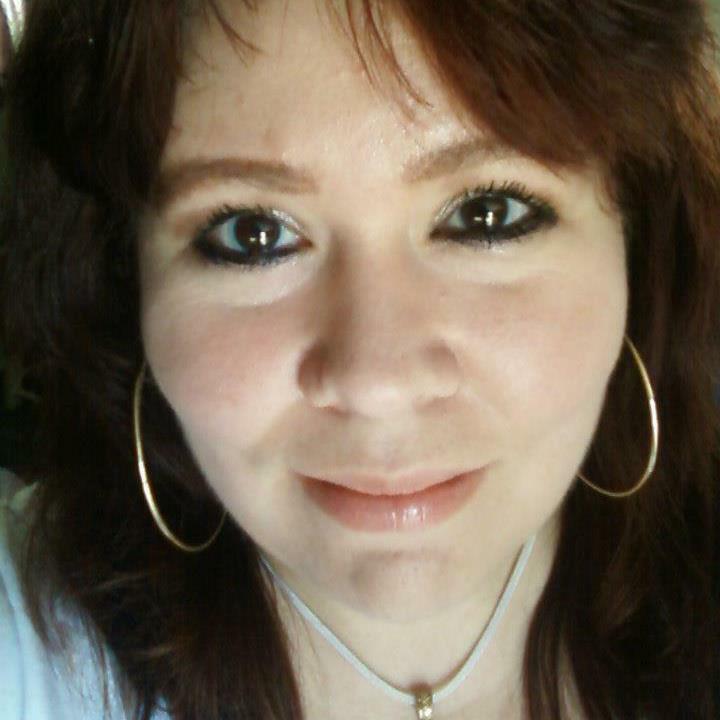 You, my friend, may be in… da da DA… (dramataic pause)…………… the early stages of perimenopause. And you thought it couldn’t happen to you! For an amazing article, check out http://www.progesteronetherapy.com/peri-menopause.html#axzz1uVAZWOx2 and it will give you a lot of really good info. The whole site is incredibly helpful. This article will explain more in detail about the effects of perimenopause on your body and how progesterone cream can help you. 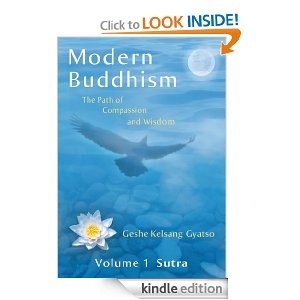 Amazon.com: Modern Buddhism: The Path of Compassion and Wisdom – Volume 1 Sutra eBook: Geshe Kelsang Gyatso: Kindle Store. Wow… I have always been drawn to Buddhism… the gentleness and reverence for all life… the teachings of Buddhism, the ones I am aware of, have always been one of the closest ones to my core being, even since I was young.. I have not, though, done an in-depth study on the subject. Yet. That is about to change. I have been doing some searching, soul-wise, and I suddenly came across this gem today, as if in answer to the questions of my heart.. I have a Kindle reader (OH I LOVE my Kindle!!!) and while looking for something else, completely… I happened on this. I felt immediately drawn to it and recognized that perhaps this is a place and a path that it’s time to investigate further, in this journey of my life. It was one of those “things” that you just know is a nudge from Someone or Something. When I saw that the author, an ordained monk (from the time he was 8!!) just wanted to make it freely available for everyone to read… I felt so humbled and appreciative, that this person would make these teachings available via free e-book, for anyone wanting to learn. I sat down to read, and just the preface alone was enough to stop me in my tracks. 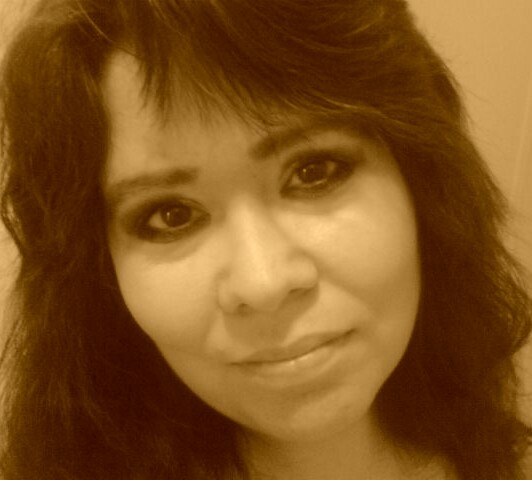 It touched my heart.. my soul… I just felt like I had come home, as I continued to read. I reluctantly had to stop long enough to do the laundry for my dear family LOL and now I have to run to the store and get dog food for my dogs *sigh* and then I have to come back and … and.. life is just so busy. But I cannot stop thinking about the words in this book and can’t wait to find a few quiet moments, to resume my thought processes and get into deep reading mode again. The words have been with me all day. I feel that I have come to a definitive spiritual mark on my path. Dogs sick from toxic dog treats still reported while FDA offers answers | HULIQ. Imported chicken dog treats from China are still being blamed for kidney failure and even death, as dog owners nationwide are sharing their sad stories. Dog owners Kevin and Candace Thaxton told ABC News in a TV report March 16 that “their 10-year-old pug Chansey died after eating chicken jerky dog treats made in China. In turn, this story of imported chicken dog treats sickening dogs in the U.S. continues after “the Food and Drug Administration has fielded over 530 complaints from pet owners over the past four months claiming their dogs suffered illness or death after eating jerky treats made in China,” officials told ABC News. At the same time, the ABC News report explained how “the FDA has issued three separate warnings about Chinese jerky treats in the past four years” by advising owners who give their pets the snacks to watch the dogs closely for signs of illness. In turn, ABC News did not list each of these three separate warnings. However, the FDA website includes a record of the FDA’s activity on this recent pet food issue. In turn, the FDA stated that “it is actively investigating the matter and conducting analysis for different contaminates. However, ABC TV News in L.A. reported no results back in late December after the FFDA tested different brands and products. These toxic chicken dog treats imported from China stated harming American dogs last year, add the FDA when sharing the latest information on the government website. For instance, ABC News reported – in a very emotional TV report March 16 – how Kevin and Candace Thaxton’s 10-year-old pug Chansey got sick late last year. “It was so hard. It was just devastating,” Kevin Thaxton told ABC News. Also, the Thaxtons would go through the ordeal again just weeks later — leading them to a new theory behind Chansey’s death — when their new Pekingese-mix puppy Penny exhibited the same symptoms, finally resulting in kidney failure. What’s going on with pet food safety? Such alarming news of the possible risk to dogs comes at a time when the safety of imported food is being heavily scrutinized. Concerned dog owners can go to a new special Q and A section of its website at http://www.fda.gov/AnimalVeterinary/SafetyHealth/ProductSafetyInformation/ucm295445.htm – 12k – 2012-03-09 for specific details about these toxic dog treats from China. For instance, this FDA “Questions and Answers” section explains when the agency first reacted to reports from dog owners about these toxic dog treats. In 2011, FDA stated on its website that it “saw an increase in the number of complaints it received of dog illnesses associated with consumption of chicken jerky products imported from China. 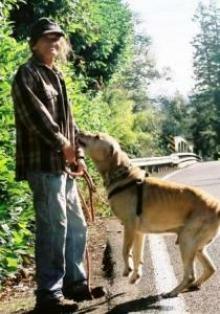 FDA previously issued a cautionary warning regarding chicken jerky products to consumers in September 2007 and a Preliminary Animal Health Notification in December of 2008. The number of complaints being received dropped off during the latter part of 2009 and most of 2010. However in 2011, FDA once again started seeing the number of complaints rise to the levels of concern that prompted release of our earlier warnings. Since the issuance of the CVM Update on November 18, 2011, the agency has received numerous additional complaints regarding chicken jerky products, the FDA added. Dogs that have become ill show “signs that may be associated with chicken jerky products include decreased appetite; decreased activity; vomiting; diarrhea, sometimes with blood; increased water consumption and/or increased urination. These signs may occur within hours to days of feeding the products. Laboratory tests may indicate kidney problems, including Fanconi-like syndrome. Although many dogs appear to recover, some reports to the FDA have involved dogs that have died. FDA continues to investigate the problem and its origin. Some of the illnesses reported may be the result of causes other than eating chicken jerky,” stated the FDA. In turn, the FDA stated how product samples were tested for Salmonella, metals, furans, pesticides, antibiotics, mycotoxins, rodenticides, nephrotoxins (such as aristolochic acid, maleic acid, paraquat, ethylene glycol, diethylene glycol, toxic hydrocarbons, melamine and related triazines) and were screened for other chemicals and poisonous compounds. DNA verification was conducted on these samples to confirm the presence of poultry in the treats.